Please follow the link just below the picture on the website to download the small sound file of 717 KB (734,972 bytes). 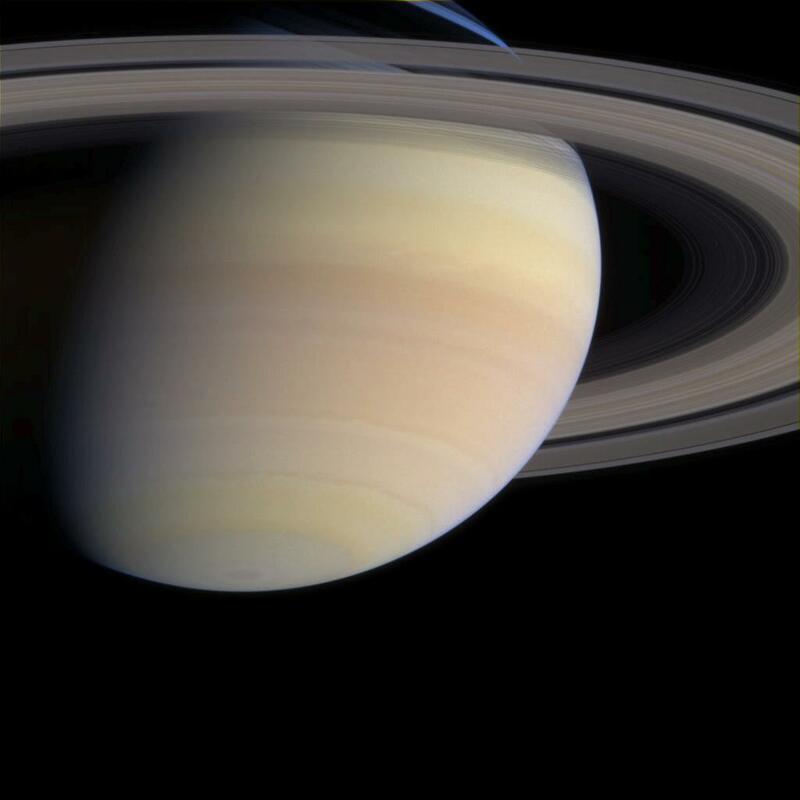 Saturn’s radio emissions were detected by Cassini (the primary spacecraft continuously orbiting Saturn and updating Earth’s astronomers on its findings) when it was 374 million kilometers away from Saturn. These emissions are related to the auroras near Saturn’s poles, similar to our Aurora Borealis and Aurora Australia, our Northern and Southern lights respectively. The discovered waves show incredible variation in frequency and time, indicating that there are many small radio sources moving along magnetic field lines across the auroral region, typical of aural emissions.